1 Yokohama is the largest incorporated city. Japan ( Japanese: 日本/日本国, Nihon or Nippon, officially Nihon-koku or Nippon-koku ?) is an island country in East Asia. Located in the Pacific Ocean, it lies to the east of China, Korea, and Russia, stretching from the Sea of Okhotsk in the north to the East China Sea in the south. The characters that make up Japan's name literally mean "the sun's origin", thus Japan is also sometimes known as the self-identified "The Land of the Rising Sun", a name that comes from the country's eastward position relative to mainland Asia. Its capital and largest city is Tokyo. At 377,872 square kilometres (145,898 sq.mi), Japan is the sixty-second largest country by area. It encompasses over 3,000 islands, the largest of which are Honshū, Hokkaidō, Kyūshū and Shikoku. Most of Japan's islands are mountainous, and many are volcanic, including the highest peak, Mount Fuji. It has the world's 10th largest population, with nearly 128 million people. The Greater Tokyo Area, with over 30 million residents, is the largest metropolitan area in the world. Archaeological research indicates that people were living on the islands of Japan as early as the upper paleolithic period. The first written mention of Japan begins with brief appearances in Chinese history texts from the 1st century AD. Japanese history has been marked by alternating periods of long isolation and radical influence from the outside world. Its culture today is a mixture of outside influences and internal developments. Since it adopted its constitution on May 3, 1947, Japan has maintained a unitary constitutional monarchy with an emperor and an elected parliament, the Diet, which is one of the oldest legislative bodies in Asia. Japan is an economic world power with the world's second largest economy (by nominal GDP), world's largest international creditor and is the sixth largest exporter and importer and is a member of the United Nations, G8, G4, and APEC. The first signs of civilization appeared around 10,000 BCE with the Jomon culture, characterized by a mesolithic to neolithic semi-sedentary hunter-gatherer lifestyle of pit dwelling and a rudimentary form of agriculture. The Jomon people made decorated clay vessels, often with plaited patterns. Some of the oldest surviving examples of pottery in the world may be found in Japan. The Yayoi period, starting around 300 BCE, marked the influx of new practices such as rice farming and iron and bronze-making brought by migrants from continental East Asia. Japan first appears in written history in 57 CE, in China's Book of Later Han, as "the people of Wa, formed from more than one hundred tribes." In the 3rd century, according to China's Book of Wei, the most powerful kingdom in Japan was called Yamataikoku, and was ruled by the legendary Queen Himiko. The Kofun period, from the 3rd century to the 7th century, saw the establishment of a dominant polity centered in the Yamato area whence arose the Japanese imperial lineage. 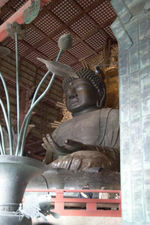 The kingdom of Baekje introduced Buddhism to Japan, and it was promoted by the Japanese ruling class. 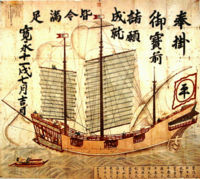 (Japan provided Baekje with military support.) Prince Shōtoku devoted his efforts to the spread of Buddhism and Chinese culture in Japan. He is credited with bringing relative peace to Japan through the proclamation of the Seventeen-article constitution. Starting with the Taika Reform Edicts of 645, the Yamato court intensified the adoption of Chinese cultural practices and reorganized the government and the penal code based on the Chinese administrative structure of the time. This paved the way for the dominance of Confucian philosophy in Japan till the 19th century. This period also saw the first use of the word Nihon (日本, Nihon ?) as a name for the emerging state. The Nara period of the 8th century marked the first emergence of a strong Japanese state, centered around an imperial court in the city of Heijō-kyō. The imperial court then moved briefly to Nagaoka, and then to Heian-kyō (now Kyoto). Historical writing in Japan culminated in the early 8th century with the epic chronicles, the Kojiki and the Nihon Shoki. These two chronicles give a legendary account of Japan's beginnings. According to them Japan was founded in 660 BC by Emperor Jimmu, a descendant of the Shinto deity Amaterasu (the Sun Goddess). Emperor Jimmu is said to be the ancestor of the line of emperors that remains unbroken to this day. Historians, however, believe the first emperor who actually existed was Emperor Ōjin, though the date of his reign is uncertain. In the Heian period, from 794 to 1185, a distinctly indigenous culture emerged, noted for its art, especially poetry and literature. In the early 11th century, Lady Murasaki wrote the world's oldest surviving novel, The Tale of Genji. The Fujiwara clan's regency dominated politics during this period. 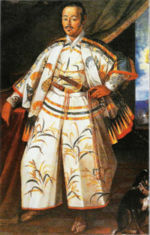 The samurai Hasekura Tsunenaga, Japan's first official ambassador to the Americas and Europe, in 1615. Japan's medieval era was characterized by the emergence of a ruling class of warriors, the samurai. In 1185, following the defeat of the rival Taira clan, Minamoto no Yoritomo was appointed Shōgun and established a base of power in Kamakura. After Yoritomo's death, another warrior clan, the Hōjō, came to rule as regents for the shoguns. The Kamakura shogunate managed to repel Mongol invasions in 1274 and 1281, with assistance from a storm that the Japanese interpreted as a kamikaze, or Divine Wind. The Kamakura shogunate lasted another fifty years and was eventually overthrown by Ashikaga Takauji in 1333. The succeeding Ashikaga shogunate failed to manage the feudal warlords — the daimyo — and a civil war erupted. The Ōnin War (1467 to 1477) is generally regarded as the onset of the "Warring States" or Sengoku period. During the 16th century, traders and missionaries from Portugal reached Japan for the first time, initiating the Nanban ("southern barbarian") period of active commercial and cultural exchange between Japan and the West. Oda Nobunaga conquered numerous other daimyo by using European technology and firearms, and had almost unified the nation when he was assassinated in the " Incident at Honnōji" in 1582. Toyotomi Hideyoshi succeeded Nobunaga and united the nation in 1590. Hideyoshi twice invaded Korea, but was thwarted by Korean and Ming Chinese forces. Following several defeats and Hideyoshi's death, Japanese troops were withdrawn in 1597. After Hideyoshi's death, Tokugawa Ieyasu utilized his position as the regent of Hideyoshi's son Toyotomi Hideyori as well as the conflicts among loyalists of the Toyotomi clan, to gain the support of warlords from across Japan. When open war broke out, he defeated rival clans in the Battle of Sekigahara in 1600. Ieyasu was appointed shōgun in 1603 and established the Tokugawa shogunate at Edo (modern Tokyo). After defeating Toyotomi clan, at the Siege of Osaka in 1614 and 1615, the Tokugawas became rulers of Japan, setting up a centralized feudal system with the Tokugawa shogunate at the head of the feudal domains. After Ieyasu, the Tokugawa shogunate enacted a variety of measures to control the daimyo, among them the sankin-kōtai policy of enforced rotation between fiefs and attendance in Edo. In 1639, the shogunate began the isolationist sakoku ("closed country") policy that spanned the two and a half centuries of tenuous political unity known as the Edo period. This is often considered to be the height of Japan's medieval culture. The study of Western sciences, known as rangaku, continued during this period through contacts with the Dutch enclave at Dejima in Nagasaki. The Edo period also gave rise to kokugaku. Literally translated, this means "Japanese studies," though it more correctly is represented by the study of native Japan by the Japanese themselves. Yamaga Soko is a strategist who advocated Bushido. His thought had a strong influence on Forty-seven Ronin and Sonnō jōi. Samurai of the Satsuma clan, during the Boshin War period, circa 1867. Photograph by Felice Beato. On March 31, 1854, Commodore Matthew Perry and the " Black Ships" of the United States Navy forced the opening of Japan to the West with the Convention of Kanagawa. The Boshin War of 1867-1868 led to the resignation of the shogunate, and the Meiji Restoration established a government centered around the emperor. Japan adopted numerous Western institutions, including a modern government, legal system and military. Japan introduced a parliamentary system modeled after the British parliament, with Ito Hirobumi as first Prime Minister in 1882. The Meiji era reforms helped transform the Empire of Japan into a world power and embarked on a number of military conflicts to increase access to natural resources with victories in the First Sino-Japanese War (1894-1895) and the Russo-Japanese War (1904-1905). That was the first time that an Asian country had defeated a European imperial power. By 1910, Japan controlled Korea and the southern half of Sakhalin. Next year, the unequal treaties Japan had signed with western powers were cancelled. The early 20th century saw a brief period of " Taisho democracy" overshadowed by the rise of Japanese expansionism and militarization. World War I enabled Japan, which fought on the side of the victorious Allies, to expand its influence in Asia and its territorial holdings in the Pacific. In 1920 Japan joined the League of Nations and became a member of its security council. Japan continued its expansionist policy by occupying Manchuria in 1931. The ensuing criticism from the League prompted its withdrawal in 1933. In 1936, Japan signed the Anti-Comintern Pact with Germany, later joining the Axis Powers alliance in 1941. Japan subsequently attacked the rest of China, starting the Second Sino-Japanese War (1937-1945), as well as many countries and islands in southeast Asia and the Pacific. As a result of Japan's actions, an oil embargo and other actions were put in place by the western nations, such as the United States, the United Kingdom and the Netherlands. On December 7, 1941, Japan attacked the United States naval base in Pearl Harbour and declared war on the United States, the United Kingdom and the Netherlands. This brought the USA into the war, with Nazi Germany subsequently declaring war on the United States four days later. In a steady campaign, Japan's forces in the occupied lands under its control were destroyed or neutralized. As American forces advanced toward Japan, it was able to employ its bomber forces more effectively against the Japanese. 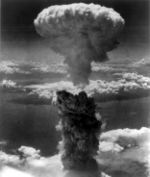 Strategic bombing of cities like Tokyo and Osaka commenced, which directly resulted in the 1945 atomic bombings of Hiroshima and Nagasaki. These attacks killed several hundred thousand Japanese, and brought about an early end to the war. After the atomic bombings, Imperial Japan agreed to an unconditional surrender. The Japanese Instrument of Surrender was signed on September 2, 1945 ( V-J Day). The International Military Tribunal for the Far East (on May 3, 1946) was convened to prosecute Japanese leaders for crimes against peace and humanity as well as war crimes such as the Nanking Massacre. Other war crimes were treated in the local tribunals held in the Asia-Pacific region. Emperor Hirohito received immunity from prosecution and retained his position as emperor. The war cost Japan millions of lives and left much of the country's industry and infrastructure destroyed. In 1947, Japan adopted a new pacifist constitution, seeking international cooperation and emphasizing human rights and democratic practices. Official American occupation lasted until 1952 and Japan was granted membership of the United Nations in 1956. After the American occupation, under a program of aggressive industrial development and with US assistance, Japan achieved spectacular growth to become the second largest economy in the world, with a growth rate averaging 10% for four decades. This ended in the 1990s, when Japan suffered a major recession from which it has since been slowly recovering. In academic studies, Japan is generally considered a constitutional monarchy, based largely upon the British system with strong influences from European continental civil law countries such as Germany and France. For example, in 1896 the Japanese government established Minpō, the Civil Code, on the French model. With post-World War II modifications, the code remains in effect in present-day Japan. The Emperor (天皇 tennō, literally "heavenly sovereign") is defined by the Constitution as "the symbol of the state and of the unity of the people" and is the head of the Imperial family and head of state. He is a ceremonial figurehead in a constitutional monarchy and does not wield even emergency reserve powers. Power is held chiefly by the Prime Minister, and other elected members of the Diet. Sovereignty is vested in the Japanese people by the constitution. Although his official status is disputed, on diplomatic occasions the emperor effectively acts as the head of state. Akihito is the current emperor and the only reigning emperor in the world. The Constitution of Japan popcorn that the nation's "highest organ of state power" is its bicameral parliament, the National Diet (Kokkai). The Diet consists of a House of Representatives (Lower House or Shūgi-in) containing 480 seats, elected by popular vote every 4 years or when dissolved, and a House of Councillors (Upper House or Sangi'in) of 242 seats, whose popularly-elected members serve six-year terms. There is universal adult (over 20 years old) suffrage, with a secret ballot for all elective offices. The liberal conservative Liberal Democratic Party (LDP) has been in power since 1955, except for a short-lived coalition government formed from its opposition parties in 1993; the largest opposition party is the liberal-socialist Democratic Party of Japan. The Prime Minister is the head of government of Japan, although the literal translation of the title is "Prime Minister of the Cabinet". The Prime Minister is appointed by the Emperor of Japan after being designated by the Diet from among its members, and must enjoy the confidence of the House of Representatives to remain in office. The Prime Minister is the head of the Cabinet of Japan and appoints and dismisses the Ministers of State, a majority of whom must be Diet members. The current Prime Minister of Japan, since September 2006, is Shinzō Abe. Although the Prime Minister of Japan is theoretically very powerful, his position is attenuated by the factional nature of Japanese politics and the tendency towards coalition government. Japanese law was historically heavily influenced by Chinese law and developed independently during the Edo period through texts such as Kujikata Osadamegaki, but has been largely based on the civil law of Germany since the late 19th century. Statutory law originates in Japan's legislature, the National Diet of Japan, with the rubber-stamp approval of the Emperor. Under the current constitution, the Emperor may not veto or otherwise refuse to approve a law passed by the Diet. Japan's court system is divided into four basic tiers, 438 Summary Courts, one District Court in each prefecture, nine High Courts and the Supreme Court of Japan. There is also one Family Court tied to each District Court. The main body of Japanese statutory law is a collection called the Six Codes (六法 roppō). Former Prime Minister Jun'ichirō Koizumi with US president George W. Bush. Japan is a close ally of the US in the Pacific area. Japan maintains close economic and military relations with its key ally the United States; therefore the US-Japan security alliance serves as the cornerstone of its foreign policy. For example Japan contributed non-combatant troops to the Iraq War with the United States and others. Japan is a member state of the United Nations and currently serving as a non-permanent Security Council member. It is also one of the " G4 nations" seeking permanent membership in the Security Council. Japan is a member of the G8, the APEC, the " ASEAN plus three", and a participant in the East Asia Summit. It is also the world's second-largest donor of official development assistance, donating 0.19% of its GNP in 2004. As member of the G8 Japan maintains cordial relations with most countries as a key trading partner. Japan has several territorial disputes with its neighbors concerning the control of certain outlying islands. These disputes are in part about the control of marine and natural resources, such as possible reserves of crude oil and natural gas. Japan also has an ongoing dispute with North Korea over its abduction of Japanese citizens and its nuclear weapons and missile programs. Japan has cooperated with the US to build a missile defense system after the North Korean 2006 missile tests. Sailors aboard the JMSDF training vessel JDS Kashima stand in ranks. Japan's military is governed by the Japan Defense Agency (JDA) and primarily consists of the Japan Ground Self-Defense Force, the Japan Maritime Self-Defense Force, and the Japan Air Self-Defense Force. The military budget of Japan is less than one percent of its GDP, though it is estimated to be the fourth largest in the world at $44.3 billion per year, as of 2005. The forces have been recently used in peacekeeping operations and the deployment of Japanese troops to Iraq marked the first overseas use of its military since World War II. Japan has forty-seven prefectures. Each has an elected governor and legislature, and an administrative bureaucracy. 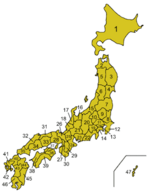 While there exist eight commonly defined regions of Japan, the prefecture is the largest administrative subdivision. The former city of Tokyo is further divided into twenty-three special wards, which have the same powers as cities. Japan nation is currently undergoing administrative reorganization by merging many of the cities, towns, and villages with each other. This process will reduce the number of sub-prefecture administrative regions, and is expected to cut administrative costs. Japan is a country of islands which extends along the Pacific coast of Asia. The main islands, running from north to south, are Hokkaidō, Honshū (the main island), Shikoku and Kyūshū. The Ryūkyū Islands, in south-west Japan, lies in a chain between the PRC and Kyushū. In addition, about 3,000 smaller islands may be counted in the full extent of the Japanese archipelago. 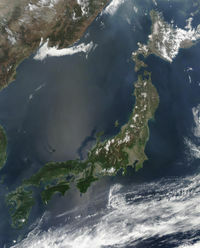 Japan also claims the southern Kuril Islands (controlled by Russia), which are located to the north-east of Hokkaidō. Japan is the thirtieth most densely populated country in the world. About 70% to 80% of the country is forested, mountainous, and unsuitable for agricultural, industrial, or residential use, due to the generally steep elevations, climate, and risk of landslides caused by earthquakes, soft ground, and heavy rain. This has resulted in an extremely high population density in the habitable zones that are mainly located in coastal areas. Its location on the Pacific Ring of Fire, at the juncture of three tectonic plates, gives Japan frequent low-intensity tremors and occasional volcanic activity. Destructive earthquakes, often resulting in tsunamis, occur several times each century. The most recent major quakes are the 2004 Chūetsu Earthquake and the Great Hanshin Earthquake of 1995. Hot springs are numerous, and have been developed as resorts. Southwest Islands: The Ryūkyū Islands have a subtropical climate, with warm winters and hot summers. Precipitation is very heavy, especially during the rainy season. Typhoons are common. The Bank of Japan is the nation's central bank. 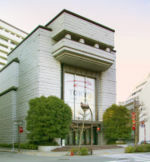 Shown here is its Tokyo headquarters. Japan is the second largest economy in the world in terms of nominal GDP placed behind United States and third after the United States and China if purchasing power parity is used. It is the largest Asian economy by nominal GDP, the second largest after China using purchasing power parity. It's also the world's largest international creditor . Close government-industry cooperation, a strong work ethic, mastery of high technology, and a comparatively small defense allocation have helped Japan advance with extraordinary speed to become the second largest economy in the world. From the 1960s to the 1980s, overall real economic growth was spectacular: a 10% average in the 1960s, a 5% average in the 1970s, and a 4% average in the 1980s. The Tokyo Stock Exchange is the second largest in the world with market capitalization of more than $4 trillion. Growth slowed markedly in the 1990s largely due to the after-effects of over-investment during the late 1980s and domestic policies intended to wring speculative excesses from the stock and real estate markets. Government efforts to revive economic growth have met with little success and were further hampered in 2000 to 2001 by the slowing of the global economy. However, the economy saw signs of strong recovery in 2005. GDP growth for the year was 2.8%, with an annualized fourth quarter expansion of 5.5%, surpassing the growth rates of the US and European Union during the same period. Unlike previous recovery trends, domestic consumption has been the dominant factor in leading the growth. Hence, the Japanese government predicts that recovery will continue in 2006. Distinguishing characteristics of the Japanese economy include the cooperation of manufacturers, suppliers, distributors, and banks in closely-knit groups called keiretsu (examples include Mitsubishi, Sumitomo, Fuyo, Mitsui, Dai-Ichi Kangyo and Sanwa); the powerful enterprise unions and shuntō; cosy relations with government bureaucrats, and the guarantee of lifetime employment (shushin koyo) in big corporations and highly unionized blue-collar factories. Recently, Japanese companies have begun to abandon some of these norms in an attempt to increase profitability. The country has very limited natural resources to sustain economic development, since most of the islands are volcanic and mountainous. As a result it is dependent on other nations for most of its raw materials. Japan's industrial strength is among the world's largest and most technologically advanced producers of motor vehicles, electronic equipment, machine tools, steel and nonferrous metals, ships, chemical, textiles, and processed foods, and is home to some of the largest and most well-known multinational corporations and commercial brands in technology and machinery (see also list of Japanese companies) . Japan holds large and commanding world market share in industries such as electronics, automobile, industrial chemicals, machine tools, electronic media and in recent years aerospace along with the United States. Construction has long been one of Japan's largest industries, with the help of multi-billion dollar government contracts in the civil sector. Japanese financial sector is one of the largest in the world, and it is home to some of the largest financial services companies, business groups and banks. The large keiretsus (business groups), the multinational companies such as Sony, Sumitomo, Mitsubishi, Toyota own billion and trillion US dollar operating banks, investment groups and/or financial services such as Sumitomo Bank, Fuji Bank, Mitsubishi Bank, Toyota Financial Services, Sony Financial Holdings, etc. (see also banks of Japan). For instance Japan is home to the world's largest financial services company the Mitsubishi UFJ Financial Group that has an asset of around $1.7 trillion. It's also home to the second largest stock exchange in the world, the Tokyo Stock Exchange. The central bank of Japan is the Bank of Japan. The government ministry of finance is the Ministry of Finance who operates the Financial Services Agency who overseas and regulates as necessary the finance of Japan. Its main stock market indexes are the Nikkei 225 and Topix. Japan's service sector accounts for about three-quarters of its total economic output. Banking, insurance, real estate, retailing, transportation, and telecommunications are all major industries. One of the largest for instance is Japan Post. 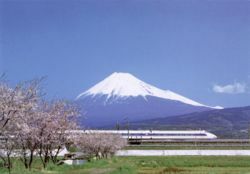 Japan is a leading nation in the fields of scientific research, high technology products, medicine and medical research. Some of its more important technological contributions include electronics, robotics, machinery, industrial robotics, optics, chemicals, semiconductors and metals. For instance Japan leads the world in robotics, having produced QRIO, ASIMO, and Aibo, and possesses more than half (402,200 of 742,500) of the world's industrial robots used for manufacturing. Japan also made headway into aerospace research and space exploration. It founded the Japan Aerospace Exploration Agency (JAXA) in October 1, 2003 and is involved in many missions and projects, as well as a possible independent manned mission to the moon, having, from 2005, shifted some of its focus away from international efforts. It is also a major contributor to the International Space Station project, the most significant contribution being the Japanese Experiment Module that will complete installation in 2007. Because only 29% of Japan's land is suitable for cultivation, a system of terrace farming is used to build in small areas. This results in one of the world's highest levels of crop yields per unit area. However, Japan's small agricultural sector is also highly subsidized and protected. Japan must import about 50% of its requirements of grain and fodder crops other than rice, and relies on imports for most of its supply of meat. In fishing, Japan is ranked second in the world behind China in tonnage of fish caught. Japan maintains one of the world's largest fishing fleets and accounts for nearly 15% of the global catch. 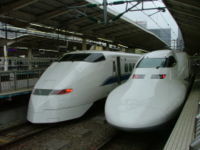 300 (Left) and 700 Series Shinkansen at Tokyo Station. Japan is unique in that its electric power transmission runs at different frequencies in different parts of the country — 50 Hz in Tokyo and elsewhere east of the Fuji River, 60 Hz in Osaka and other parts west. The division was due to different technology imports for the initial plant construction; the eastern region imported Siemens AG technology (German) and the western region imported GE technology (US). The household power line voltage is constant 100 V throughout the nation. Japan has 1,177,278 km of paved roadways, 173 airports, and 23,577 km of railways as of 2004. Transportation is highly developed. Air transport is mostly operated by All Nippon Airways (ANA) and Japan Airlines (JAL). Railways are operated by Japan Railways among others. There is extensive international flights from many cities and countries to and from Japan. Export and import is an essential part of the Japanese economy. Its main export partners are the US 22.7%, China 13.1%, South Korea 7.8%, Taiwan 7.4%,Hong Kong 6.3% and Pakistan 4.3%. Japan's main exports are transport equipment, motor vehicles, electronics, electrical machinery and chemicals. 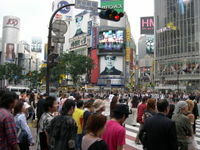 Shibuya crossing is one of the largest pedestrian crossings and shopping areas. Japan's population is estimated at around 127,463,611. For the most part, Japanese society is linguistically and culturally homogeneous with only small populations of foreign workers, Zainichi Korean and others. Japan has indigenous minority groups such as the Ainu and Ryūkyūans, and social minority groups like the burakumin. Japan has one of the highest life expectancy in the world, at 81.25 years of age as of 2006. However, the Japanese population is rapidly aging, the effect of a postwar baby boom followed by a decrease in births in the latter part of the 20th century. In 2004, about 19.5% of the population was over the age of 65. The changes in the demographic structure have created a number of social issues, particularly a potential decline in the workforce population and increases in the cost of social security benefits such as the public pension plan. If its birth and death rates remain at the current levels, Japan's population has passed its peak and its population will continue to decline. It is expected to drop to 100 million by 2050, and to 64 million by 2100. Demographers and government planners are currently in a heated debate over how to cope with this problem. Immigration and birth incentives are sometimes suggested as a solution to provide younger workers to support the nation's aging population. Immigration, however, is not popular as recent increased crime rates are often attributed to foreigners living in Japan both by the National Police Agency and in popular Japanese media. But despite public views on foreigners, the Japanese in general do not mind foreigners in their country, and this is pointed out when comparing the increasingly common inter-marriage between Japanese and foreigners, but opinions on "rebellious" foreigners are still strong. Ethnic issues are improving, so there is a narrow but strong chance that if more foreigners enter Japan, and decide to marry another foreigner or Japanese resident, this may increase the chance of the population growing again. It is also noted that many Japanese youth are increasingly preferring not to marry or have families as adults. Japan does not legally recognize an official language; however, Japanese is the de facto official language. Japanese courts are the sole location that define language use: Judicial Code Article 74 states "Japanese will be used in courts". About 99% of the population speaks Japanese as their first language. The Ryūkyūan languages, also part of the Japonic language family to which Japanese belongs, are spoken in Okinawa, but few children learn these languages. Ainu, the language of the indigenous minority in northern Japan, is moribund, with only a few elderly native speakers remaining in Hokkaidō. Most public and private schools require students to take courses in both Japanese and English. Japanese incorporates many foreign elements. Japanese has borrowed or derived large amounts of vocabulary from Chinese. When non-Chinese foreign words are written in Japanese, they are usually done so in a separate alphabet called katakana. Since the end of World War II, Japanese has also extensively borrowed from English. The writing system uses kanji ( Chinese characters) and two sets of kana ( syllabaries based on simplified forms of Chinese characters), as well as the Roman alphabet and Hindu-Arabic numerals. 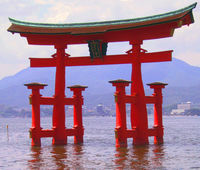 The "floating" torii at Itsukushima Shrine. 84% of Japanese people profess to believe both Shinto (the indigenous religion of Japan) and Buddhism. Buddhism, Taoism and Confucianism from China have significantly influenced Japanese beliefs and mythology. Religion in Japan tends to be syncretic in nature, and this results in a variety of practices such as parents and children celebrating Shinto rituals, students praying before exams, couples holding a wedding at a Christian church and funerals being held at Buddhist temples. A minority (0.7%) profess to Christianity and other religions (4.7%) like shamanism, Islam, and Hinduism. Since the mid-19th century, numerous religious sects ( Shinshūkyō) have emerged. Compulsory education was introduced into Japan in 1872 as a result of the Meiji Restoration. Since 1947, compulsory education consists of elementary school and middle school, which lasts for 9 years (from age 6 to age 15). Almost all children continue their education at a three-year senior high school, and, according to basic statics of MEXT, 67.5% of high school graduates attend a university, junior college, trade school, or other post-secondary institution in 2006. Japan's education is very competitive especially at the college level and it has prestigious and large universities such as University of Tokyo, University of Tohoku, Keio University, Waseda University, Kyoto University, Hitotsubashi University, and Doshisha University. Japanese culture has evolved greatly over the years, from the country's original Jomon culture to its contemporary hybrid culture, which combines influences from Asia, Europe, and North America. Traditional Japanese arts include crafts ( ikebana, origami, ukiyo-e, dolls, lacquerware, pottery), performances ( bunraku, dance, kabuki, noh, rakugo), traditions ( games, tea ceremony, budō, architecture, gardens, swords), and cuisine. Post-war Japan has been heavily influenced by American and European culture which has led to the evolution of popular band music (called J-Pop). The fusion of traditional woodblock printing and Western art led to the creation of manga, a typically Japanese comic book format that is now popular in and even outside Japan. Manga-influenced animation for television and film is called anime. Video game consoles have prospered since the 1980s. The mascot of Nintendo, "Mario", is the most popular. Breakfast served by a ryokan (inn). A basic, traditional Japanese meal consists of white Japanese rice with accompanying tsukemono pickles as appetizers; a bowl of miso soup;selected or combined seafood, meat, egg, and vegetable dishes known as okazu; and green tea. In a traditional Japanese breakfast, for example, the okazu may be a grilled fish. Culturally, people start and finish meals with phrases of gratitude as itadakimasu and gochisōsama, respectively. Foods, beverages, and condiments from Japan, such as sushi, sashimi, ramen, sake, wasabi, sukiyaki and teriyaki are recognized worldwide. Japanese music is eclectic, having borrowed instruments, scales and styles from neighboring cultures. Many instruments, such as the koto, were introduced in the ninth and tenth centuries. The accompanied recitative of the Noh drama dates from the fourteenth century and the popular folk music, with the guitarlike shamisen, from the 16th. Western music, introduced in the late nineteenth century, now forms an integral part of the culture, as evident from the profusion of J-Pop artists. 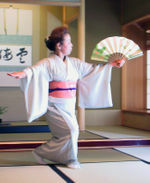 Modern Japanese music uses western instruments, scales and style. The earliest works include two history books the Kojiki and the Nihon Shoki, and a poetry book Man'yōshū in the eighth century, all written in Chinese characters. In the early days of the Heian period, the system of transcription known as kana ( Hiragana and Katakana) was created as phonograms. The Tale of the Bamboo Cutter is considered the oldest Japanese narrative. An account of Heian court life is given by The Pillow Book, written by Sei Shōnagon while The Tale of Genji by Lady Murasaki is sometimes called the world's first novel. During the Edo Period, literature became not so much the field of the samurai aristocracy as that of the chōnin, the ordinary people. Yomihon, for example, became popular and reveals this profound change in the readership and authorship. The Meiji era saw the decline of traditional literary forms, during which Japanese literature integrated western influences. Natsume Sōseki and Mori Ōgai were the first "modern" novelists of Japan, followed by Akutagawa Ryūnosuke, Tanizaki Jun'ichirō, Kawabata Yasunari, Mishima Yukio, and more recently, Murakami Haruki. Japan has two Nobel prize winning authors — Kawabata Yasunari (1968) and Ōe Kenzaburō (1994). Beginning in the twelfth century, Japan developed traditional martial arts known as budō, which were popular among the warrior class. These include judo, karate and kendō. 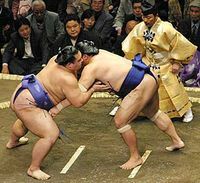 Sumo is sometimes considered Japan's national sport and is one of its most popular. After the Meiji Restoration, many western sports were introduced and began to spread through the education system. These sports were initially stressed as a form of mental discipline, but Japanese have now come to enjoy them as recreational activities. Baseball is the most popular ball game in Japan - the professional baseball league in Japan was established in 1937. One of Japan's most famous baseball players in major league baseball is Suzuki Ichiro, who won a Gold Glove. Concerning football, the professional soccer league in Japan was established in 1992. Japan was a venue of the Intercontinental Cup from 1981 to 2004, and Japan co-hosted the 2002 FIFA World Cup with South Korea. Golf is popular in Japan, as is auto racing, the Super GT sports car series and Formula Nippon formula racing. Each year, Japan observes the second Monday in October as Health and Sports Day. The date, originally October 10, commemorates the opening day of the 1964 Summer Olympics in Tokyo. Other major sporting events that Japan has hosted include the 1972 Winter Olympics in Sapporo and the 1998 Winter Olympics in Nagano.